The computations in this small article show the Lagrange interpolation. 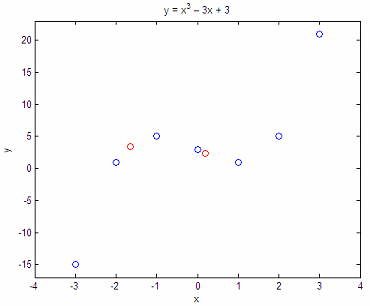 The code computes y-coordinates of points on a curve given their x-coordinates. You must enter coordinates of known points on the curve, no two having the same abscissa. % x is the vector of abscissas. % y is the matching vector of ordinates. are on the curve. What are the values of y when x = -1.65 and 0.2? 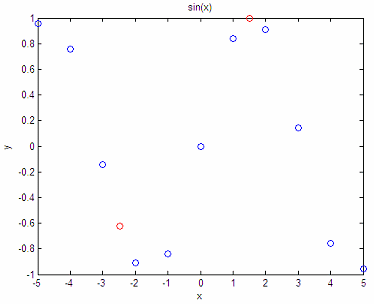 Given the following points from a sine curve, what are the y-values for x = -2,47 and x = 1.5? The approximation is not bad, right? In fact, it seems to be quite accurate!